The Hood River in Oregon is another popular locale for camping and fly fishing vacations. 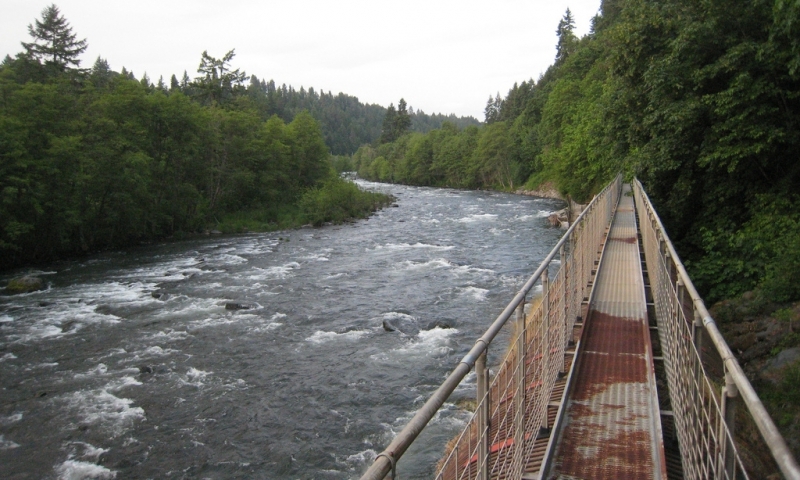 In fact, the river is especially good for catching salmon and steelhead. The river is fairly calm and easily accessible by car or local trails, and dotted along the way with many excellent camp grounds. Blue Sky Whitewater Rafting, Inc.
Thrilling rafting trips just 30 miles from Portland, Oregon. 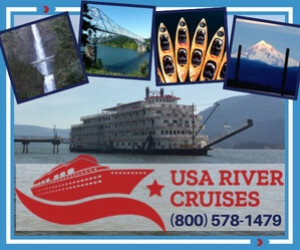 Enjoy exciting whitewater adventures or relaxing scenic views through calm waters. 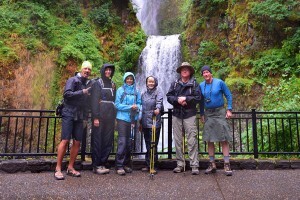 Oregon's Hood River has gained popularity for its many camping spots and excellent fly fishing. Lovers of steelhead and salmon flock there every season, from April to October, to take home not only trophy catches, but enjoy fresh fish cooked over an open fire or barbecue in one of its many campgrounds. The Hood offers many local fishing spots, all of which require a special license. So be sure to get one from the local town or village hall. They do not cost a lot, but cover a variety of native Oregon fish from salmon to trout and steelhead to sturgeon. Most park ranger stations also have provisions to authorize these, too. Varied campgrounds offer fishing tackle, boats and other equipment that are essential for those who do not own their own. Barbecue pits and boat launches, as well as canoes are also available. However, for more specialized items, it is best to go to one of the nearby local villages or towns which have many stores that cater to a fisherman's every need. Prices vary greatly, but the selection is renowned across the state. For trips going off the beaten path, tour companies have guides and special trips that can cover just one day or even, if needed, many weeks.